Massive festivals and unique conventions are deeply engrained in the culture of Nevada. Whether you’re looking for the perfect musical festival, connecting with those of similar interests, or maybe exploring a culture you’re not so familiar with, there almost too many festivals to chose from in the Battle Born State. Explore our list of the 10 best festivals Nevada has to offer. Burning Man for many is much more than a festival, it's a life style. The yearly meeting in the middle of the desert turns into it's own city of sorts. The focus is community, music, dancing and just a feeling of an overall artistic freedom. Las Vegas Speedway plays host to a whirlwind of light, electronic music, costumes and plenty of dancing each June. EDC is a worldwide dance party with many planning their whole year around attending the event. This three-day event is the biggest free hot air balloon event in the world. The sky over Reno is filled with hot air balloons for miles. In recent years crowds have enjoyed watching 100 balloons compete in the race. Life is Beautiful is the best of many festivals as it combines cutting edge thinkers with some great music, amazing food and just enough comedy to keep everyone laughing. This event has something for everything and is a local favorite in that is does have such a range of very positive activities and attractions. The festival usually happens in late September so the weather is warm but not as harsh as they desert can be. This festive day of amazing food, cultural speakers, vendors and dancers, is a must-experience. Authentic food vendors and artists share a bit of Indian culture as crowds enjoy cultural presentations and traditional dress. Visitors come from across the country for this yearly gathering. A wild weekend celebrating the river running through Reno, this event centers around a fun run and the big river relay. For athletes participating in either, the party is just starting because the rest of the weekend is filled with craft beer, food trucks and great music. While the relay can get pretty competitive with corporate teams fighting for bragging rights, it is all in fun. This is a meat lover’s dream with a weekend event celebrating everything barbecue. The competition itself is very serious with key players coming in to take home the bragging rights but the event overall is family fun. The amazing smells of everything barbecue is enough to keep them coming back every year. Each June, Vegas takes it's tribute to everything Elvis to the next level with this three-day festival. While Elvis a part of Vegas history and impersonators can be seen nightly on the strip, this weekend is a time to gather to remember The King through his music, films and contributions to pop culture. 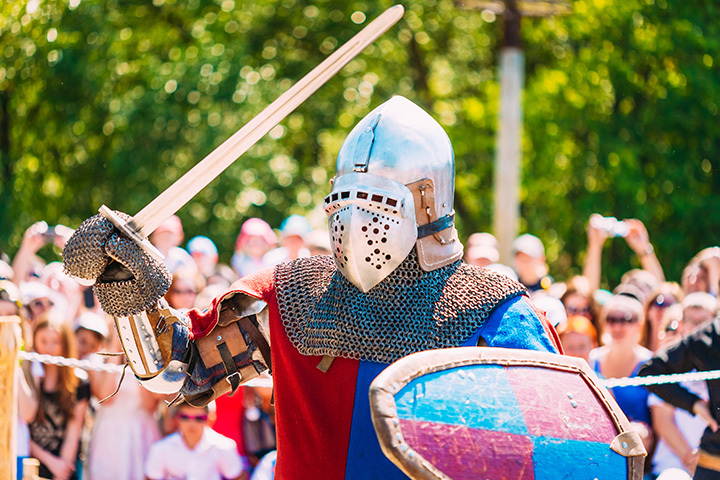 Each fall, chivalry returns to the desert in the form of the Ren Fair. This event has established a pretty large following as Las Vegas tends to take events to the next level with everything down up to the nines. Costumes are king as visitors step back in time to enjoy an afternoon focusing on art, and cultures of the past. A smaller festival for a great cause, drag boats come to the desert to fight breast cancer. This one day event in late October brings teams from all over the west to fight for the title. The competition is fierce but the celebration is all for the families. View more Nevada Festivals, Fairs and Parades.